Home→0Steadfast in ...→Steadfast in the Pew→The NIV, A problem with adopting a temporary solution. 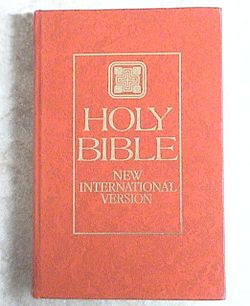 The 1997 edition was revised and released in 2002 with the full Bible published in 2005 as Today’s New International Version. This version also failed to meet the approval of the Church due to theological problems also stemming in large part from the use of inclusive language. If it had not been for the resistance of the Church to the version of 1997 the older 1984 edition would have disappeared by 2001 due to Biblica’s publication policy. My sister’s first call out of Seward in 1974 was to teach at St. Paul’s and she was there about four years. Nope, I’m up near Milford. Sorry to see your Pastor (Schave) leave for St. L. Sure hope you guys can find an equally confessional Pastor to replace him. Would hate to see St. Paul’s go all happy clappy like so many of the rest of the LCMS churches in our region have done. FYI St. Paul’s closed their school a few years ago. That’s great. However, I think that in 2005, the school closed down due to lack of enrollment. Talking to some people who went to that school, towards the end, there were 3 students enrolled and they would give discounts to the school based off financial need. However, pray for St. Paul. In May, our pastor took a call to the Office of International Mission in St. Louis as Associate Executive Director. 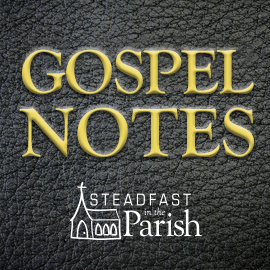 We have a vacancy pastor right now, but pray that we find a permanent pastor. Pr. Schave was the pastor that did my adult confirmation class and he was the pastor when I was received into membership in the LCMS. I am sure, however, that we will find someone confessional. For starters, the members on the pulpit committee are solid, confessional Lutherans with one of them probably knowing the pastors that graduated from a particular seminary in Indiana. Also, we have a strong confessional laity here. I am so sorry to hear about St. Paul’s school closing. When my sister was there it was a huge school with a beautiful facility. Is there any hope of it reopening? Have the demographics around the church changed a great deal since the 70’s? Demographics to a degree, I would guess, but I do know the same principal who saw St. Paul’s school shut down also was the last one at my alma matter in Maryland, where I grew up. That school also is gone and it too was thriving in the 70’s. (Demographics were a huge factor there.) I’m not informed enough to say he was the cause, but it is at least an interesting coincidence. Cincy is very heavily German Papist, and there aren’t too many of us Lutheran heretics around to compete with all the RC schools. It might be possible to re-open the school, but not right now. Also, I don’t know how the demographics were in the 1970’s (Note: I was born in 1990 and grew up Baptist), but based off the LCMS website, the church has significantly changed demographics in the past 10 years (with the greatest net losses in membership being 2005 and 2007, and with the greatest net gains in membership being in 2010 and 2011). For what its worth, it is amazing what one can do with a bit of effort. Here is my example. I took two years of Spanish in high school and one year in college. A couple of years later I worked side-by-side with some Mexicans for three years and was able to get by conversationally. This poor ability of mine fell into dis-use 38 years ago. Six months ago I installed the BibleGateway app on my smart phone so that I could do some bible reading when away from my hardcopy bible. After noticing that BibleGateway supported a number of Spanish versions, I switched entirely to Spanish for all of my bible reading as a means of regaining some lost ground. For this purpose I installed the XYNOTEC English-Spanish DictDroid app on my smart phone. The bible app and the dictionary app are both free. I use the RVA on my smart phone, and RV1960 as hardcopy. 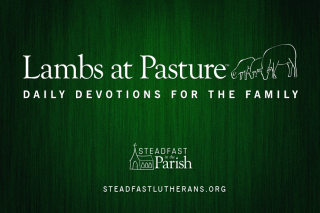 I have completely read the New Testament in Spanish (with many return trips), and have read Genesis – Exodus plus Joshua – Kings in the Old Testament, along with some favorite Psalms. The RVA is the work product of a Lutheran Theologian and is older than the 1611 KJV and every bit as anachronistic, perhaps even more so. But not being a native Spanish speaker, I cannot say this authoritatively. I have read on some blogs that many bi-lingual people prefer the RV to the KJ from the standpoint of accuracy. I believe this to be true. Spanish disspells a lot of ambiguities that are common in English. Here is a bonus, just one of many that I could supply. The RVxxx never says that “Elizabeth gave birth to John”, or that “Mary gave birth to Jesus”. Instead, “Elizabeth gave John to the light”, and “Mary gave Jesus to the light”. Think about this in terms of the womb being a dark place, and the birth process as a going from darkness to light. Then consider the teaching that in our new birth we go from being children of darkness to being children of light. Put it all together and one sees that the concept of the new birth is seamless in Spanish, but disjointed in English. I plan to stick with the RVxxx for the near future because there is a lot that it can teach me (even as one who is well read in many versions of the English bible). Marilee Litwa :My Bible will always be the KJV. My granddaughter is learning the old way, just so someone will know later on. Quite correct. The KJV, as grand and traditional as it is, is not without its faults, and I’ve had to exercise patience with people who are KJV-only or KJV-preferred in their thinking, as many of them tend to snub other Bible translations unfairly. So that there be no misunderstanding on the part of those unfamiliar with the Spanish language in general or Spanish language bibles in particular. In my previous comment, “RV” is an abbreviation for “Reina-Valera”, not Revised (Standard) Version. I apologize for this (perhaps important) omission. As an aside, there appears to be as much controversy with the various Spanish language versions of the bible as there are with the various English language versions. I am not competent to take sides on this issue. My choices were made for the sake of convenience only. I have a Reina Valera, and also a “Version Antigua.” I need to get back to reading those. Question, btw: would it best serve the Lutheran church to do its own translation? Is there a faithful English translation of Luther’s Bible? If so, is there an online version? best you can do is take of the translations in each of the commentaries and put them together. not all the commentaries are finished. i wonder if CPH would ever put that together. i wonder how expensive it would be. http://www.bible-researcher.com/esv-translators.html there’s some LCMS represented there. Some of us are uncomfortable with Beck for some other reasons: e.g., he seemed to have trusted M. Dahood’s judgements on Hebrew poetry more that he should have. What would you want from a “Lutheran” translation?